A lovely wedding reception at Ponte Winery in the main dining room. The couple enjoed their first dance as husband and wife. 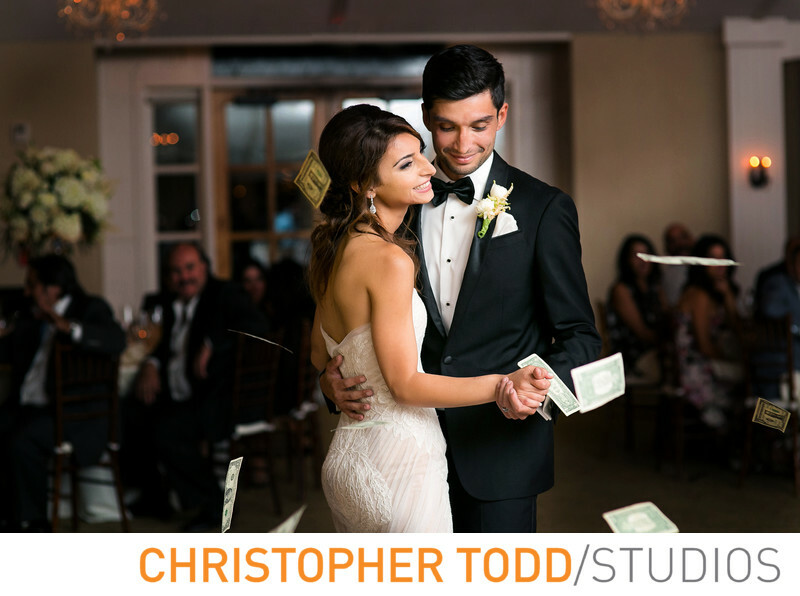 In the Persian tradition the guests throw money at the couple as scene in this photo. Location: 35053 RANCHO CALIFORNIA ROAD, TEMECULA, CA 92591 . 1/160; f/2.8; ISO 1250; 85.0 mm.